If you’ve ever spent any time playing games on Android, then you’ll be familiar with Angry Birds. 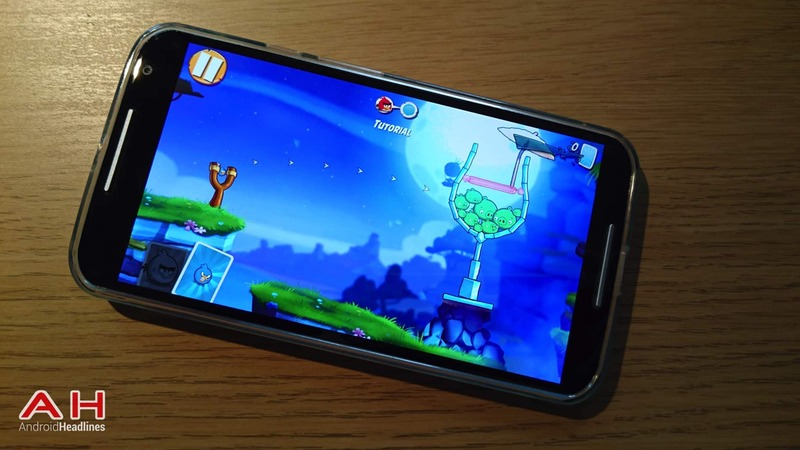 Long ago, the Rovio smash hit was only available on iPhone and when it came to Android, it made a big splash on Google’s platform. Since then, we’ve seen many a spin off, including games that took Angry Birds characters into unfamiliar territory like Angry Birds Go and Angry Birds Fight. Now though, Rovio is back with an honest successor to the original, with Angry Birds 2. Unlike Angry Birds Star Wars and co, Angry Birds 2 is built with a whole new engine as well as an eclectic mix of all sorts of different mechanics from previous Angry Birds games. Angry Birds 2 is available to download, for free, right now in the Play Store, and it features a revamp of the old Angry Birds. For one thing, the graphics are much better, and have clearly been designed with high-resolution displays in mind. Lots of particles and objects feature more shading and the frame rate seems to have increased as well. It still plays like the original, but the old cast of Birds now have powers similar to those from Angry Birds Star Wars, and players end up with a deck of Angry Birds cards, giving them the opportunity to pull in whichever birds they want to complete the level at hand. Players accumulate these cards throughout levels they complete. After a quick play, it certainly looks and feels like an Angry Birds title, the changes made to the original formula help, however after all of the spin offs, Rovio might be facing an uphill battle. Not only has Angry Birds come and gone to a certain extent, but the game mechanics at the heart of the game are the exact same as they were almost five years ago. For casual gamers however, this is a launch that could end up being their most-played game of the year, but Rovio might find getting the children excited as they once did a little more difficult than before. The post Angry Birds Return With Angry Birds 2 appeared first on AndroidHeadlines.com |.